At Rise, we take a unique approach to sleep-health. Our team of Sleep-Health Professionals have specific training in the treatment and management of sleep apnoea. Our passionate team is always on hand to ensure your patients have access to the very best therapy available. Our Sleep-Health Professionals will create a personalised therapy plan for each patient. Throughout diagnosis and therapy, your referring GP will receive reports on your progress and updates to keep them informed. Rise provides a range of premium Sleep Health Programs conducted in the private and relaxed surroundings of our Sleep-Health Hubs. Rise Sleep Clinics are not like your normal sleep clinic. We refer to our clinics as our Sleep-Health Hubs. Come in and you will find a relaxing environment. Our team are here to help you find the right treatments, so making you comfortable is vitally important to us. 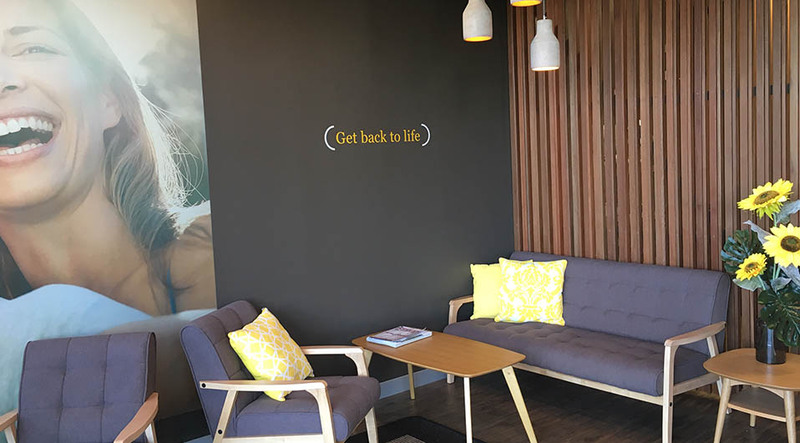 We have Sleep-Health Hubs in Robina on Scottsdale Drive and our centre in Upper Coomera. Talk to our team and they will help you Get back To Life.